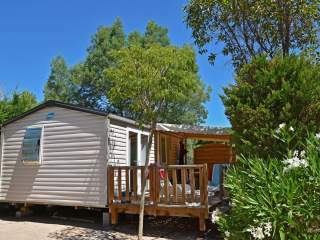 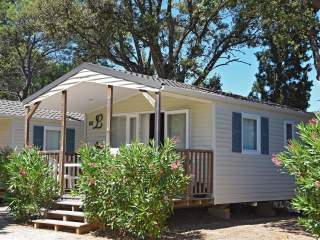 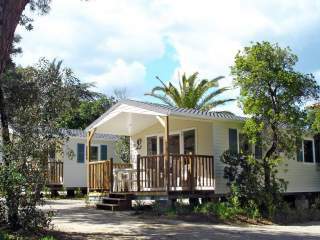 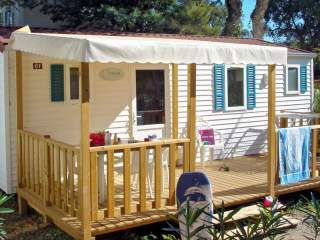 Our mobile homes, paillotte cabins, cottages and gipsy caravans will ensure you a great camping holiday and the comfort of a modern and functional rental accommodation. 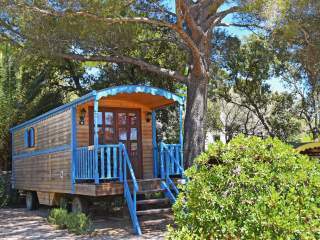 The wooden, shaded terrace of these rentals will offer you the possibility to enjoy the long summer days of the Var, from breakfast to sunset. 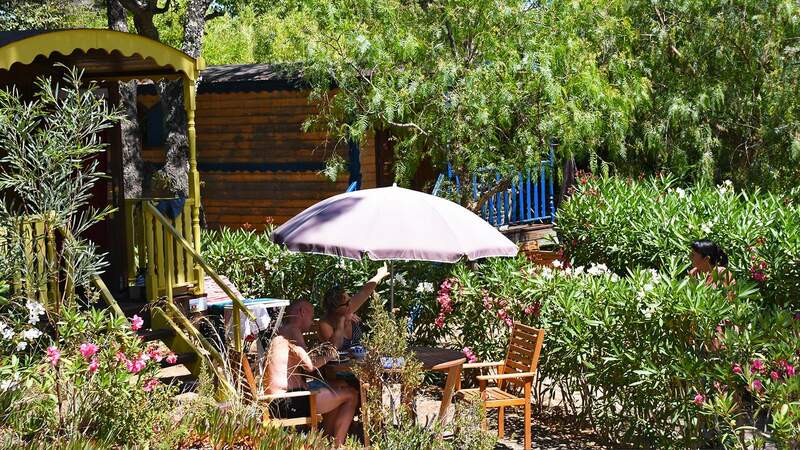 These rentals for 2 to 7 persons offer 1, 2, or 3 bedrooms, a spacious lounge with great incidence of light, a fully equipped kitchen and a bathroom with shower. 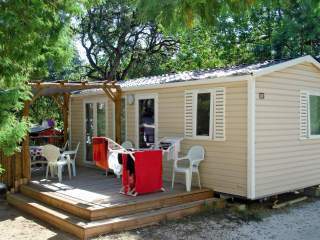 The paillotte cabins with wooden cladding and thatch roof and some of the cottages are equipped with air-conditioning and a flat screen TV.